At Investment Executives Capital Advisory Group, we believe no two investors are alike. In order to help each client meet their financial goals, we use a personalized approach to investing. Our advice and recommendations are tailored to our clients’ investment goals, desired return objectives, risk tolerance, time horizon and income needs. Our investment strategies are designed based on your investment goals. Investment Executives Capital Advisory Group offers professional money management through various third-party money managers. 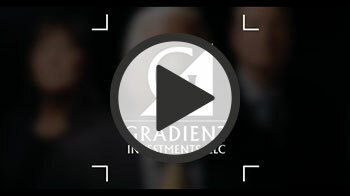 One of our strategic alliances is with Gradient Investments, LLC (GI). 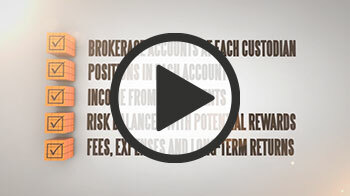 GI is an SEC-registered investment advisor firm offering clients over 20 proprietary portfolios. Portfolios are managed by their Chief Investment Officer Wayne Schmidt, CFA®, MBA, and President Michael Binger, CFA®. Schmidt and Binger each boast more than 20 years of institutional investment experience and are regular contributors to CNBC, Fox Business, Forbes, The Wall Street Journal and many other national publications. Schmidt has been quoted on the subject of the global economy in numerous nationally and internationally recognized investment publications such as Bloomberg, Reuters and The Los Angeles Times. He is a Chartered Financial Analyst™ and a member of The Chartered Financial Analyst Institute and the Twin Cities Society of Security Analysts. During his tenure at AXA Investment Managers, Schmidt served as senior portfolio manager for the U.S. Investment Grade Fixed Income Team. As the lead portfolio manager, he managed $9.5 billion of fixed income assets with a variety of mandates ranging from aggregate, corporate and government bond portfolios. Binger spent more than 20 years at Thrivent Financial where he managed numerous equity funds through various economic cycles.